Every relationship is a journey which has its ups and downs. It is a journey that two individuals undertake together and it requires both of them to put their best foot forward in order for it to be a lovely one. Having a difference of opinion and a tiff about it here and there is not a problem. That comes with the very facet of being a human being. But when it becomes chronic and it is difficult to even bear the idea of being in disagreement is a problem worth checking up on. Holding grudges and brooding over a problem is a sign of ineffective communication or a breakdown of communication. It is something that should be resolved at the earliest, otherwise it becomes a toxic habit. If the issue of chronic fighting plagues your relationship, consider couples therapy to address the issue. 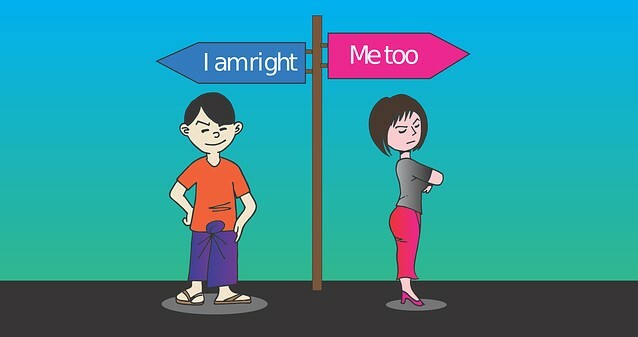 If the very fundamental attitude of two partners in a relationship is dissimilar, it may lead to problems. That in no way means that two people need to be absolutely similar in their thought process. But, at the same time, certain core principals of two people should be on the same plane for the relationship to flourish. It is important for two individuals to be able to reach a consensus on things like religious beliefs, marriage, the decision to parent children, and likewise. Since they are rather integral to one’s life, it is important to have a partner who you can discuss them with without hesitation even if there is disagreement in certain areas. A relationship cannot thrive if there is an absence or deficiency of faith in your partner. It is important to let your partner know that you trust them unless they have done something which gives you appropriate grounds to not trust them. If either or both of you have a habit of disrespecting one another, it is a serious indication of unresolved issues. You cannot love a person if you do not respect them in the first place. In case either of you has given up doing something which you used to enjoy doing prior to your relationship, it is definitely a sure fire sign of a control problem. Two truly loving people are supposed to be free to engage in the activities that they love without the fear of upsetting or angering the other. How many problems do you think you might have? Is it the end of your relationship already?